It’s the last week of school and here we are crawling to the finish line. I think we can make it another five days. Although it is Finals week, so that still remains to be determined. I have never seen two kids do so much math figuring out what the rock bottom score they can get on the final to keep their A in the class. If only they realized that if they spent the same amount of time studying, the A will be no problem. Send Coffee. We’re going to need it. Lots of it. 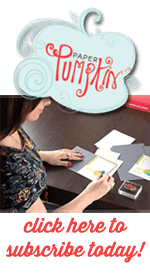 Months ago, I did a forecasting survey for Stampin Up and was given a sneak peak of some of the new products coming out in the New Catalog this June. The Coffee Break Suite was number 1 on my list of things to purchase. I love coffee. Not a day goes by without it. If I don’t get my usual two cups, I am completely off all day long. I’ve even had early mornings when I really should have had some coffee before I tried to make coffee and made a mess all over the counter. I ordered everything in this Suite because it all coordinated so well. The stamps, the dies, the paper, the ribbon, and the corrugated elements. You’re going to want these goodies too. Today’s card uses all of these products. 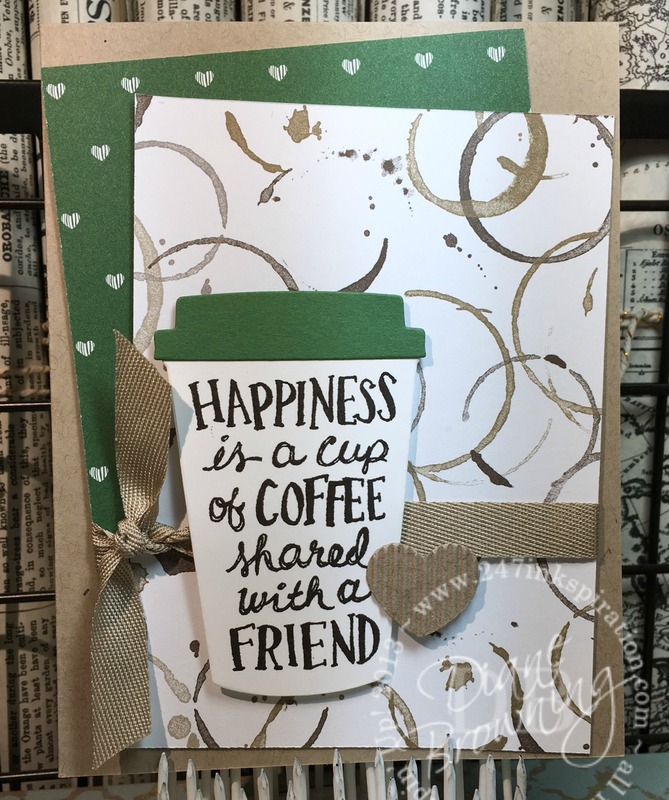 To get the sentiment lined up in the center of your cup, you will want to stamp it first and then die cut it out. I used a bit of washi tape to hold my die in place while cutting it. This ensures that the die doesn’t shift as it moves through the machine. The Coffee Break pattern paper is so fun. I love the sheet with the coffee cup rings. Even if coffee is not really your thing, the pattern paper is still a great pack to have. Only half of the patterns are specifically coffee related. And actually the two sheets with the coffee plant on them could be used for anything. The rest of the colors and patterns would be great for any kind of masculine card. You don’t have to limit this paper to just cards with coffee on them. Well, I’m off to check my Amazon account to make sure the coffee shipment arrives this week. I’m going to need it.